Protests that forced Jordan’s prime minister to resign and laid bare the country’s systemic economic and political crisis shed a new light on the root causes of popular protests in the Middle East that swept the region in 2011 and have since continuously erupted at local levels in a swath of land stretching from Morocco to Egypt. The protests, sparked by price and tax hikes, brought large numbers of middle class demonstrators, who saw their livelihoods threatened, on to the streets. The replacement of Prime Minister Hani al-Mulki with his education minister, Omar al-Razzaz, a reformer and former World Banker, did little to quell the unrest. Protesters are demanding a full repeal of the proposed tax hikes, that would raise employees’ income tax by five percent and corporate levies by between 20 and 40 percent in line with the terms of a three-year $723 million dollar loan from the International Monetary Fund (IMF) that Jordan secured in 2016. Buried in the protesters’ slogans and demands is a call for a greater say in the country’s affairs at a time that King Abdullah, driven by economic need and tectonic geopolitical shifts, is unilaterally rewriting the country’s social contract. The protesters’ demands put King Abdullah between a rock and a hard place. Dependent throughout its history on foreign aid, Jordan, deprived of support by Saudi Arabia and other Gulf states because of King Abdullah’s refusal to fall into line with Saudi policies designed to establish the kingdom’s regional hegemony, has little choice but to fall back on its own resources that are reflected in the proposed tax hikes. While Jordan’s economic plight might be extreme compared to other Middle Eastern states, the pattern of unilaterally rewriting social contracts is not uniquely Jordanian. It is prevalent in countries like Egypt that has also turned to the IMF for relief and the Gulf states that have been tinkering with their cradle-to-grave welfare state in their bid to diversify their economies and reduce dependence on foreign and expatriate labour. Social contracts, involving the state providing public sector jobs, free education and health, and subsidized food and fuel in return for surrender of political rights and acceptance of elite capture and kept in place by coercion, are not the only similarity between Jordan and other Middle Eastern states. Attempts at reform in the Middle East and North Africa are exclusively social and economic. If anything, repression in countries like Saudi Arabia, the United Arab Emirates and Egypt has substantially increased in a bid to squash any call for political reform in a process of change that directly impacts people’s lives. The drivers of the Jordanian protests are not only similar to those of the 2011 revolts that initially toppled the leaders of Tunisia, Egypt, Libya and Yemen and erupted across a geography stretching from the Atlantic coast of Africa to the Gulf. They also confirm conclusions of a recent World Bank report, ‘Eruptions of Popular Anger: The Economics of the Arab Spring and Its Aftermath,’ that argues that erosion of middle class incomes, discontent with quality of life, the shortage of formal sector jobs, and corruption rather than poverty and income inequality were at the root of the protests. To be sure, the marginalized and impoverished helped populate the 2011 protests as well as the more recent demonstrations in Jordan, a country with double digit unemployment, 21 percent of the population living below the poverty line, and finances and services burdened by the influx of more than 2 million refugees, including 600,000 plus Syrians. Ms. Ianchovichina arrives at her conclusion by exploring alternative measures of welfare that capture people’s views about their well-being. “On the eve of the Arab Spring, people felt stuck. The middle class, in particular, was growing more frustrated with the quality of life in their countries. Life satisfaction scores declined markedly before the Arab Spring events,” Ms. Ianchovichina’s report said. Because “the social contracts were kept in place through coercion, and exclusion generated anger about relative deprivation between the connected and those without connections, a breakdown in the social contract increased the premium on freedom and created impetus for political change. Thus, a broken social contract, not high inequality, led to the Arab Spring uprisings,” Ms. Ianchovichina said. The economist’s analysis is as valid for the Arab revolts as it is for Jordan. “The contracts had become unsustainable because persistent fiscal imbalances emerged. The public sector could no longer be the employer of choice, and the system of general energy and food subsidies had become a fiscal burden. Therefore, reforms were passed to limit the growth of public sector employment and reduce the cost of subsidies… Young people could no longer count on public employment after graduating from college. But the private sector did not generate enough jobs to absorb the large number of young people entering the labour force,” Ms. Ianchovichina argued in the report. In Jordan, this week the replacement of Prime Minister Al-Mulki failed to put an end to the protests. Protesters were no longer pacified by cosmetic changes. They appear to be demanding systemic change that would involve greater transparency, accountability and political participation. In doing so, the protesters could be establishing a new benchmark in the Middle East and North Africa’s torturous process of political transition. Ms. Ianchovichina conclusion from her analysis of the Arab Spring states is equally valid for Jordan. That will require political will to take on vested interests and make political change a pillar of the reform process. 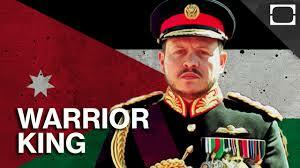 Without doubt, King Abdullah’s willingness and ability to implement change is being put to the test.